This project highlights the variety of rural development benefits that can be achieved by adopting collective and territorial approaches to implementing agri-environment support from RDPs. The De Groot family farm is an organic dairy business based on the outskirts of Woerden near Utrecht in the Netherlands. As part of the farm's diversified income base, it provides environmental services via a collective and territorial agri-environment approach using RDP funds that support habitats for rare bird species (e.g. Godwits). The main objective of the farm’s business operations focuses on providing quality food at competitive prices in ways which look after environmental assets whilst also helping to foster a positive perception of the family farm as a beneficial community asset. 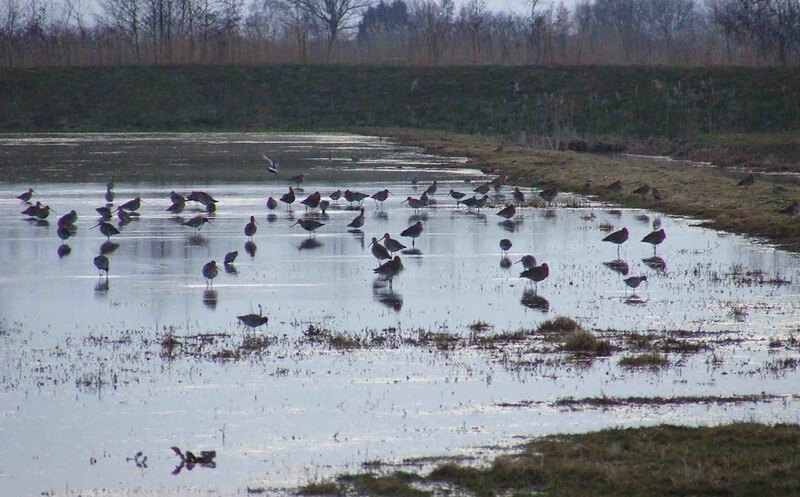 The main goals of the agri-environment actions centre on providing semi-natural habitats for wetland species through adoption of less intensive grassland management techniques. Agri-environment payments from the RDP target actions: protecting grassland bird nests from livestock and during field work; wetting of grassland during the Spring; facilitating botanical conservation of field margins along ditches; and promoting species-rich grassland for birds by mowing late and manuring at low levels. All these actions are coordinated by a regional farmers' cooperative on farmland conservation (which is one of 150 similar Dutch 'producer groups for environmental services'). Collective action is a good recipe for a high uptake and regional coverage of agri-environment support. Regional cooperation enables ‘tailor-made management’ for easy-to-use schemes with ecological effectiveness. Collective approaches help to reduce implementation costs for agri-environment schemes. Dutch experience shows that territorial cooperation on farmland conservation often also results in broadening the scope of activities to rural tourism, water management, education etc. Gravensloot 14, 3471, Woerden, The Netherlands Please note the financial figures refer to agri-environment payments (amount per hectare) for habitat conservation work involved in wetting grassland during the Spring.